Thunderbolt Marine Inc (TMI) is located on a 25 acre site on the Wilmington River three miles southeast of Savannah, an area which enjoys a rich history of seafaring tradition. In the 1800s Ft. Thunderbolt stood on the site serving as one of a string of inland water batteries during the US Civil War. The boat basin was originally established by Asa Candler, the founder of Coca-Cola, and was used by the US Army during World War II as a staging area for offshore patrol and rescue vessels. W.E. Honey and Latex Construction Company purchased the property in 1965 to support its dredging operations. 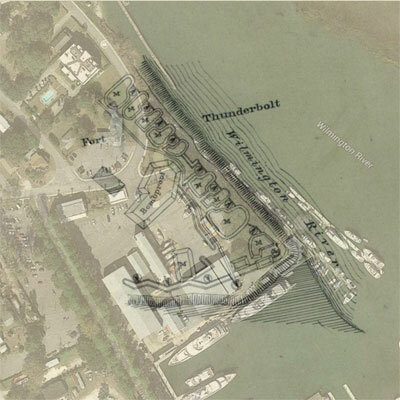 In 1969, Thunderbolt Marina started operations and erected the first dry-stack boat storage building in this area. Thunderbolt Marina also sold runabouts and outboard engines. 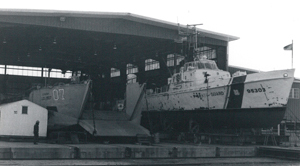 In the late 1960's Thunderbolt Marine developed a first-class yacht repair facility with the Syncrolift and rail system that is still in use today. 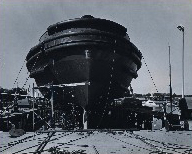 The company eventually shifted to commercial and government vessel construction and repair, building tugs and barges. In 1981 the company changed its name to Thunderbolt Marine Industries to better reflect the broader type of marine work being accomplished. Three tractor tugs were constructed for the Panama Canal Company. 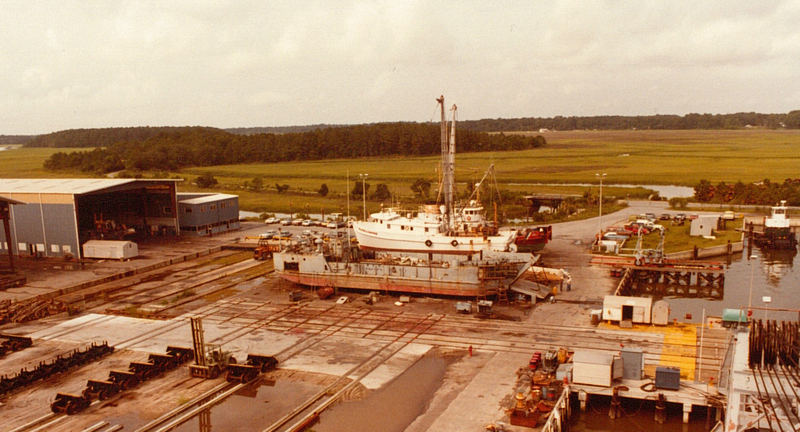 Thunderbolt Marine Inc. (TMI) was incorporated in 1985 and undertook various marine construction and dredging projects. Lockheed Shipbuilding Company leased the yard for five years starting in 1986 to construct LCU 2000 Landing Craft for the US Army. In 1992, Palmer Johnson leased the yard and accomplished yacht repair and refit projects until departing in September of 2003. In October, 2003, Bill Honey, the founder's son, resumed TMI's full service operations for yacht refit and repair. Yard facilities included cabinetry, canvas & upholstery, electrical, electronic, fine finish, HVAC, hydraulic, joiner, machine, metal, paint, rigging and varnish shops with hauling capabilities of 1,150 tons by Syncrolift and 150 tons by Marine Travelift. In 2009 TMI moved shops and administrative offices to the renovated buildings on the north side of the facility, also adding offices for use by captains and crew. The move made way for demolition of all but one building (now service bay 203) and in 2010, construction began on our vessel service building and state-of-the-art spray booth. The completion of the rail transfer pit extension allows for extremely efficient movement of yachts when relocation is necessary between service bays, the spray booth and outdoor hard standing space. In 2015 we relocated our canvas and upholstery shop to make room for the Crew Lounge available to all active crewmembers of yachts at Thunderbolt Marine for service. As a working service yard, we understand that it's important to have a place to get off the boat for a while and we are happy to provide a space that is clean, comfortable and welcoming. We've converted a residence just across from our main gate into a space with a gym, lots of games including foosball and a pool table, lounge area, office, laundry and prep galley and lots of space. The large yard and deck out back has an outdoor kitchen, tables and a lounge area. In early summer of 2015 we will have completed installation of overhead gantry cranes in all service bays. Our facility upgrades are in response to and to accommodate the needs and requirements of our customers whose satisfaction is key to our success. The Casino at Thunderbolt was built in 1895 by the Savannah Electric Company to increase patronage on their streetcar lines to Thunderbolt. The tracks ran right up to the Casino, a large three-story frame building with expansive porches supported by white wood columns on all sides. The porches and balconies provided shade in the summer and views in all directions, of the river, marshes and amusement park. There were two large pavilions on the north and south ends of the Casino. Broad staircases led to the main entrance, facing the bluff. "To him who is on pleasure bent, the Casino and Park at Thunderbolt offer everything to be wished for. The Casino building is large, well-constructed and convenient, with spacious airy piazzas, a roomy and well ventilated auditorium, lighted by electricity, and cooled by electric fans, with a fine dancing floor, handsome stage and furnishings and the best orchestra in the county. Here is presented in the amusement season, vaudeville, comedy, minstrels, and comic opera. Dancing and moving pictures are furnished free for the pleasure of those who visit the resort." The Casino was one of the first establishments in the Savannah area to show movies. Ernest F. Schmitt, a long-time employee of the Savannah Electric Company, ran the projector. The above description emphasizes that the Casino was built not only to increase business on the streetcar lines but to promote the popularity of electricity, with movies, lights, and fans all running on electricity. The grounds around the Casino were as exciting as the actual Casino facility. Built on parts of the Confederate battery, the site boasted two bandstands for concerts and dancing. One bandstand extended over the bluff onto a pier jutting over the Wilmington River. The second bandstand was a circular gazebo in the center of a large round duck pond west of the Casino. As at the Savannah Yacht Club, wood and cast iron benches lined the bluff overlooking the river. The Casino grounds included an amusement park which further promoted the interests of the electric company with electrical rides and games including a merry-go-ride and miniature roller coaster. Additional entertainments included a thirty-acre zoo and a beer garden. In one post card image of the Casino, tightrope walkers are performing on a rope set up over the duck pond at almost twice the height of the Casino. The story of public transportation in Savannah began in 1869 with the formation of the Savannah-Skidaway and Seaboard Railway Company. This railway company started to provide inter-city streetcar service by connecting downtown Savannah with the Isle of Hope, Skidaway Island, Thunderbolt, Montgomery Cross Road and the White Bluff area. The first cars were drawn by one horse each and had room for twelve seated passengers. The cars were heated by wood stoves, lighted by kerosene lamps and the horses wore bells to warn traffic of their approach. When the streetcar system began operation, residents who were previously unable to afford transportation welcomed the opportunity to travel outside of Savannah for the purposes of residency, employment, and recreation. In 1980, the first electric streetcar ran across the rails of the Savannah Street Railway. These streetcars were the marvel of the dawning electric age, and this form of transportation enabled Savannah to truly begin the extension of the city limits. As early as the turn of the last century, the streetcar barn was located on Gwinnett Street at Harmon where the current headquarters of the Chatham Area Transit Authority are now situated. The coming of the twentieth century saw the consolidation of the major local railway properties under the newly created Savannah Electric Company which handled all lighting, power, and transit operations. 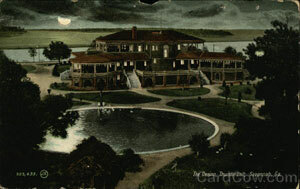 The Savannah Electric Company constructed amusement parks and casinos at Thunderbolt and Isle of Hope so crowds would have some place to go. The casino at Thunderbolt housed comic opera, vaudeville and even moving picture shows. The early streetcars were staffed by a motorman who stood on an open platform. He wore a heavy wool blue coat and trousers year round. There was no heat on board and the motorman stood in a cardboard box with rags wrapped around his feet to stay warm during the colder months. Passengers fared no better than the motorman as there was no heat in the streetcars.